I am sharing this recipe with you the day after I tried it. This rarely happens, as I usually don't get around to posting the recipe until enough people ask for it or I have some extra time. Extra time? Ha! What is that? However, this recipe was so very delicious, I had to share right away! I recommend serving warm and fresh on a piece of toast. 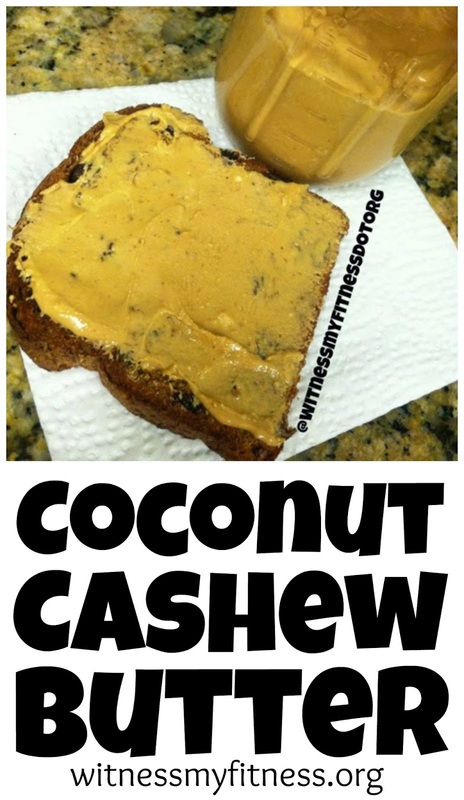 I tried mine on Ezekiel raisin toast. What a treat! Enjoy, friends! 2. 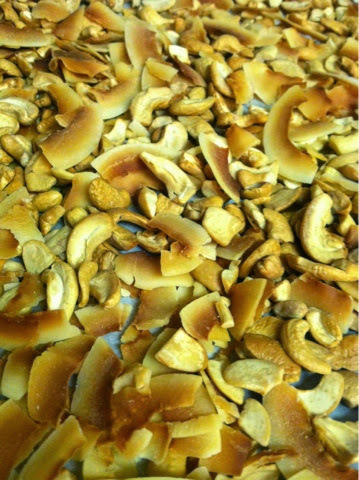 Place parchment paper on baking sheet and cover with a thin layer of coconut and cashews. 3. Place in oven and bake for 15-20 minutes until light to golden brown. 5. Put in Vitamix or other high-powered blender. 6. (On Vitamix) Select Variable 1, then turn on machine and quickly increase speed to Variable 10, then to High, using tamper to press ingredients down towards blade. 7. Blend for 1 minute until you hear a high-pitched chugging sound. Butter will flow freely through blades and resemble peanut butter texture. Stop machine. 8. Store in an airtight container for up to three weeks in fridge. For those of you with Instagram, follow me! Click the button on the side of my blog to follow me @witnessmyfitnessdotorg. I post a plethora of recipes, meal ideas, and workout ideas! This recipe is one of the many. I will be posting more to my blog as well. 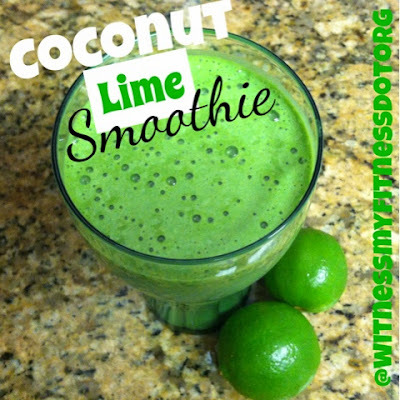 This smoothie has a great balance of creamy, sweet, and tangy! I loved it! Place in blender in order listed. Blend until smooth. Serves 2. Enjoy!